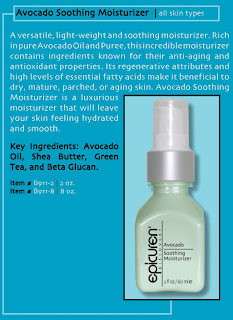 Our PRODUCT OF THE DAY is Epicuren Discovery's Avocado Soothing Moisturizer. For all skin types, this moisturizer is know for it's anti-aging ingredients that leaves your skin hydrated and smooth. 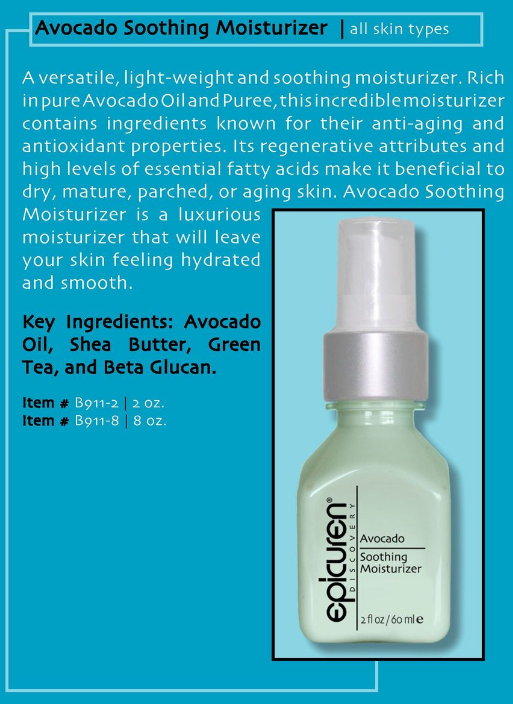 Click here for more information on Epicuren's Avocado Soothing Moisturizer.